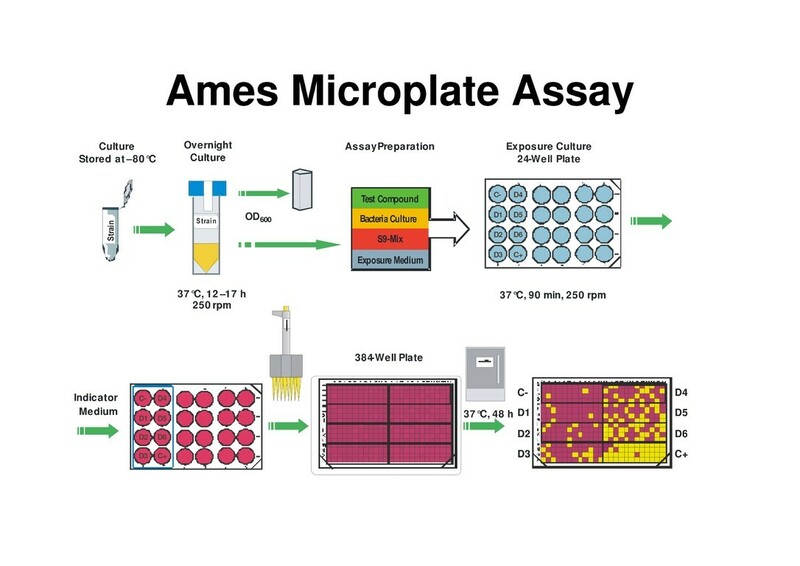 The Ames MPF and Ames II assays are modified versions of the classical agar-plate Ames test using liquid culture. 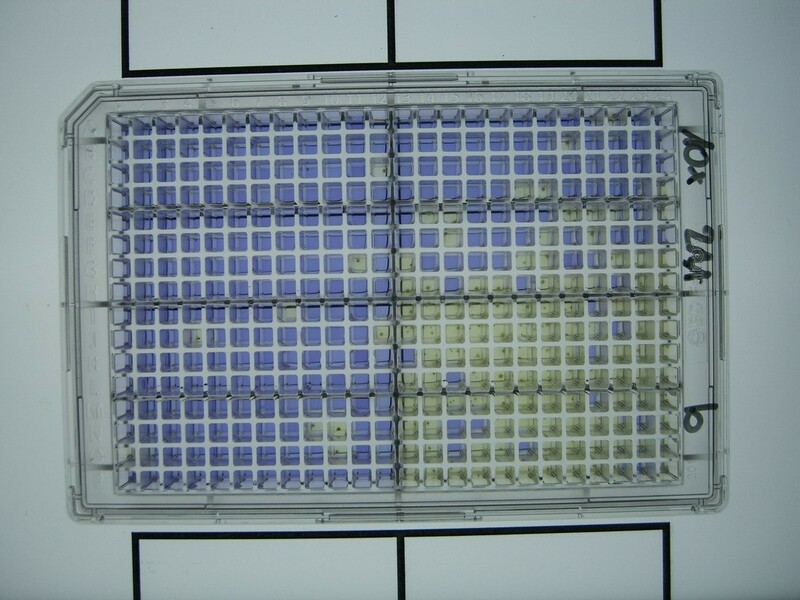 The assays are based on the fluctuation method cited in the OECD 471 guideline but use 384-well microtiter plates and have a colorimetric read-out. The great advantage of this format is the lower amount of sample needed and much easier handling. Out Ames test systems can be used for the determination of impurities following ICH M7 guideline. The Ames MPF Penta I assay uses S. typhimurium TA98, TA100, TA1535, TA1537 and E.coli strains (wp2 uvrA and wp2 [pKM101]); these are strains recommended in the actual OECD 471 guideline. The Ames II assay differs from the Ames MPF assays in that it comprises TA98 and TAMix, consisting of 6 histidine-auxotrophic mutant Salmonella test strains, TA7001-TA7006. Each of these mutants can revert to wild type by a specific transition or transversion, so that all possible base-pair changes can be detected by TAMix. The TA700x test strains are not included in the recommended test strains of the current, formal OECD test guidelines. Practical training and in-house testing of the Ames MPF and Ames II assays can be organized in the facilities of Xenometrix in Allschwil, Switzerland. For detailed information please visit our product catalog.